You are here: Home / Dental / Dental Braces that work in Less than 120 Days-Is that Possible? Dental Braces that work in Less than 120 Days-Is that Possible? Do you need braces? Have you been putting off getting braces because the time and energy it takes to make your teeth straight? Perhaps you’ve avoided braces because you think it’s painful? Well, now there is a method that just might change your mind. There is a patented new technology out there called FASTBRACES® and it’s shaking up the dentistry industry quickly. FASTBRACES work because it allows dentists to grow alveolar bone. Alveolar bone helps straighten your teeth, and it does it very fast compared to wearing regular braces. The alveolar process is the thickened ridge of bone that contains the tooth sockets on bones that hold teeth. In humans, the tooth-bearing bones are the maxillae and the mandible. This technology also helps you avoid having to get jaw surgery or having your teeth extracted. FASTBRACES use brackets which enable the root straightening process. Basically, it puts the teeth more upright. This method restores the morphology of the alveolar bone. This is also a way to treat orthodintis in the gums which is gingivitis around crooked teeth. This new technology enables the continuation of eruption. They also induce alveolar bone remodeling and its development. This is done in very short treatment times of up to 120 days depending on your situation and the severity of your case. 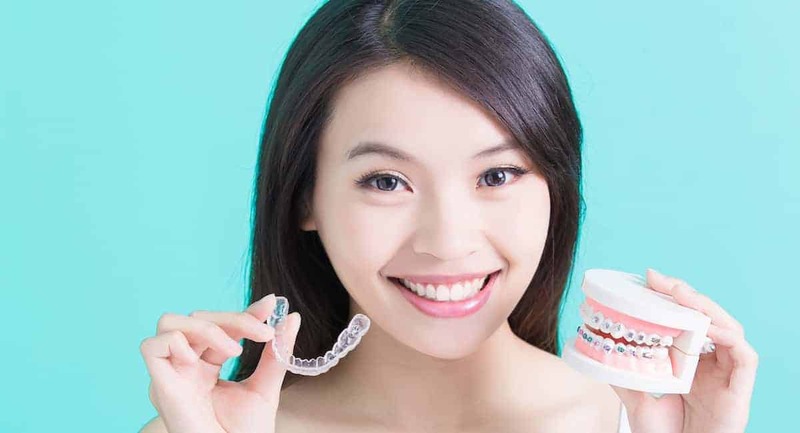 What happens is the orthodontically induced movement of teeth makes for the success of the treatment and in most cases, no teeth need to be extracted. One hundred and twenty days is the time frame that emulates natural ereption of the teeth from the second they appear in the mouth and until the opposing dental arch is reached. You can see a difference in your teeth within days. They can be straightened quickly and without much pain. The inventor of FASTBRACES has never prescribed pain meds to his patients while using the method. Some patients who use FASTBRACES are done with the treatment in 100 days. Decreased pain is a major factor in the success of FASTBRACES. With the fast alignment from FASTBRACES, dentists find some procedures to be not as difficult. Procedures like installing implants, crowns, and veneers. Dentists are increasingly turning to FASTBRACES for their patients. The speediness, as well as less pain, makes it a no brainer for them. People tend to feel much less anxious about getting braces when they know they don’t have to deal with them for a year or even more. Thousands of patients have experienced the benefits of this new technology and thousands more will in the near future. This will most likely become the standard in orthodontics and serve many happy patients moving forward. Dentists and orthodontists are learning about this method and technology every day to bring bright beautiful smiles to their patients.